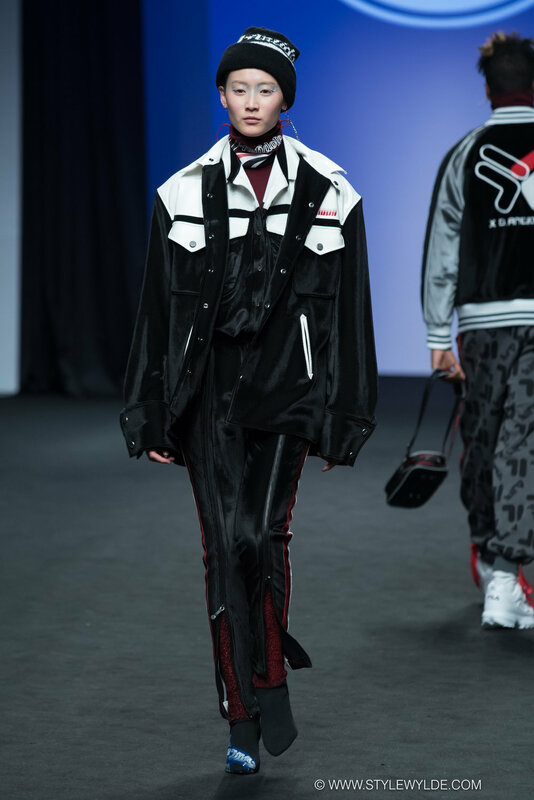 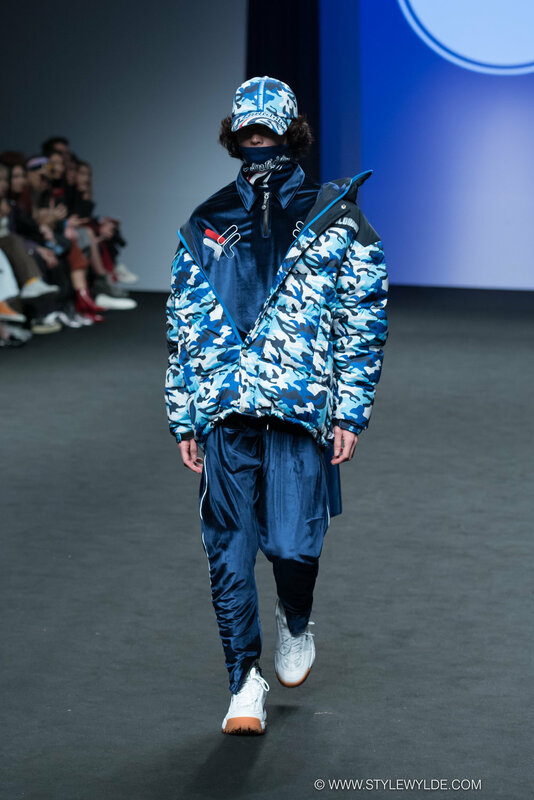 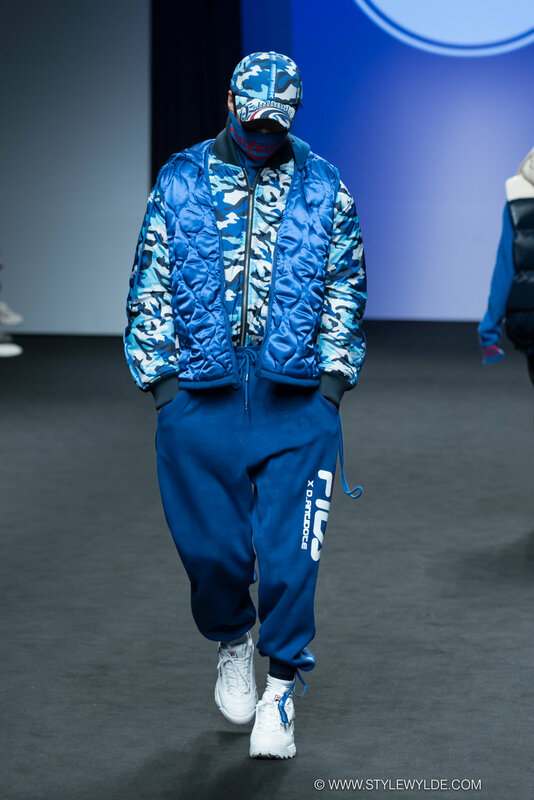 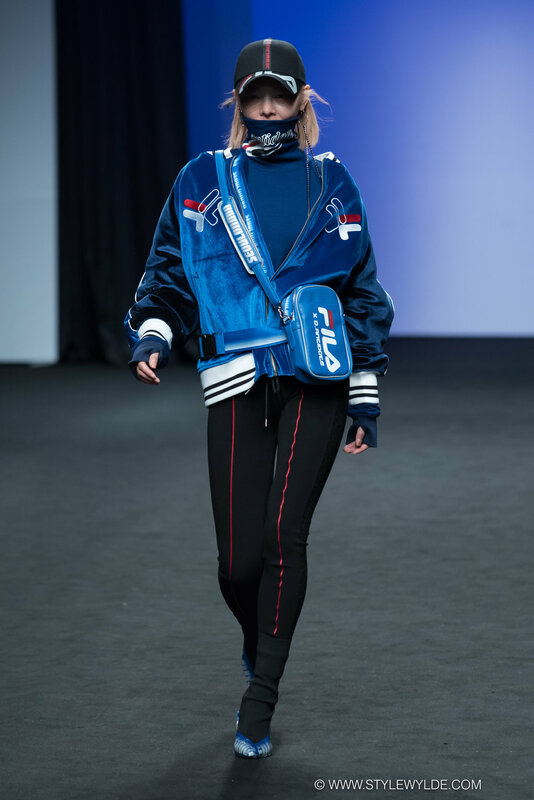 Skate and streetwear never looked better than at the D-Antidote Fall 2018 show where the brand's ongoing collaboration with Fila was celebrated with a live music performance, dancing, and plenty of catwalk attitude. 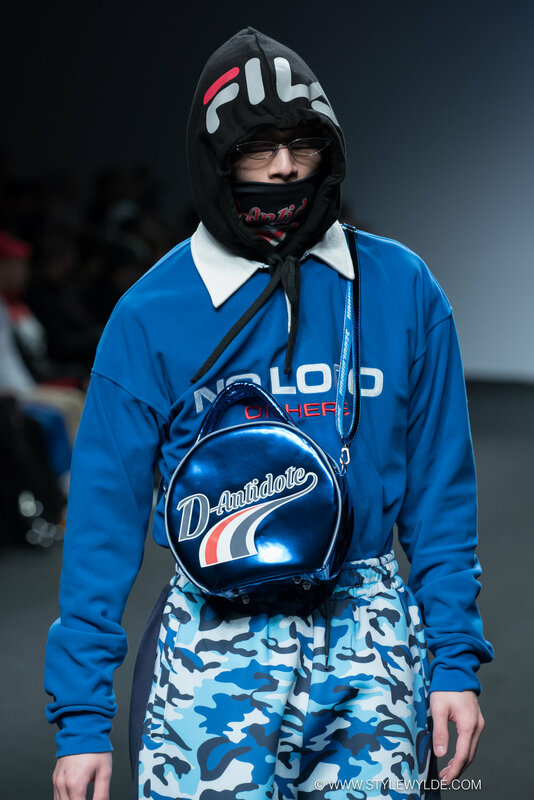 The looks included clever logo cardigans, and "No Logo On Here" sweatshirts in an array of primary colors and stripes. 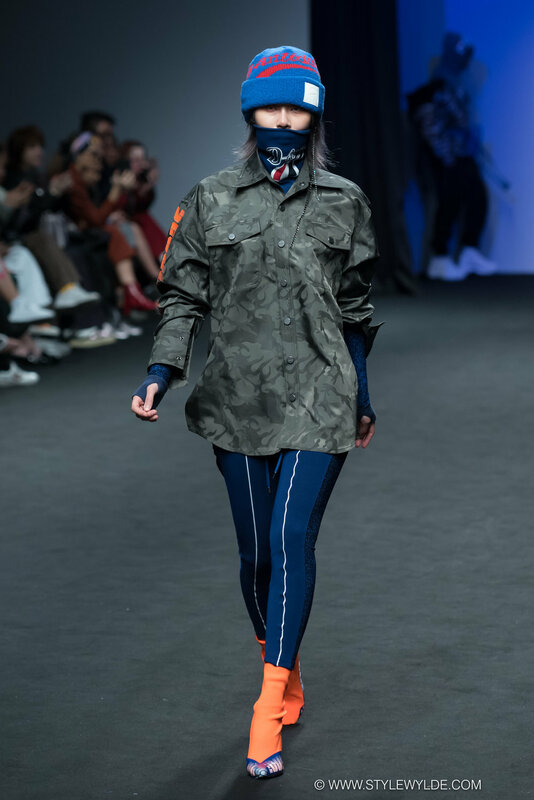 All images: Style Wylde.com and may not be republished or reproduced anywhere without express written consent.